This week Ed gives us the letter L so of course I go with landscape… well a seascape but for L’s sake its a landscape. 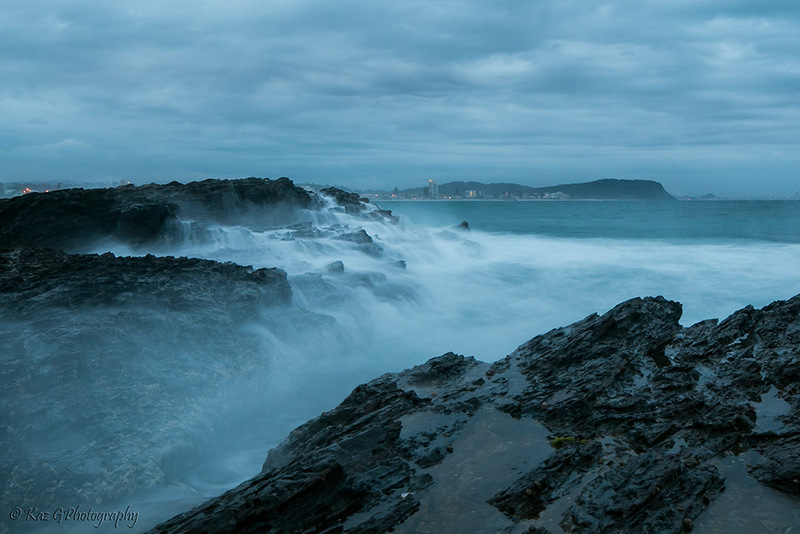 Currumbin beach in December with all its interesting rock formations looking towards Palm Beach just after sunset. loving the blue tone and a great image again Kaz! You captured it beautifully Kaz!